Have you ever wondered how you can increase your throughput while minimising packaging waste and optimising your production line? Consider packaging automation. Don’t let the initial installation costs put you off; the investment will bring some great cost-savings in the long run. 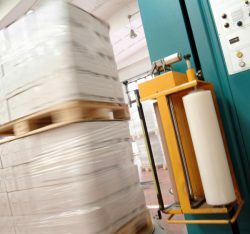 If your budget really does not stretch that far, then introducing semi-automated packaging solutions, such as manual tape dispensers and crash-lock boxes, can go a long way to improve the speed and efficiency of your packaging operation. We put together a few automation ideas below to get you started. Automated box-sizing machines such as Sealed Air B+ I-Pack® or e-Cube® measure the size of your products and adjust the box size to offer the best fit for the content. This helps to ensure you use just the right amount of packaging needed to protect your products in transit. The machine also folds the box and seals the lid on, significantly speeding up your packaging line. Auto bagging machines including Adpak’s Comtex and Compacta operate on similar principles to auto boxing systems. They automatically place products inside customised bags which are then cut to size to ensure optimum fit. This allows multi-sized products to be despatched efficiently with minimum labour efforts and time constraints. 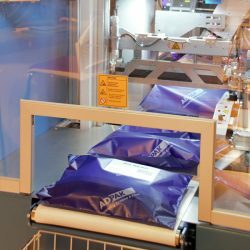 These innovative machines inflate and dispense air cushions at a set length to ensure less packaging waste and prevent parcel overfill. The bags are supplied flat for optimised storage and can be customised with company branding or personalised messaging for an elevated customer experience. Paper cushioning systems such as Ranpak® Fillpak m™ require minimal area for set up, so that you can make the most of your storage space. They eliminate the need for labour-intensive hand crumpling of paper, ensuring your parcels are despatched quickly and are not overfilled. If you would like to combine product production with beautiful in-box protection, Geami paper cushioning may be just the right solution for you. 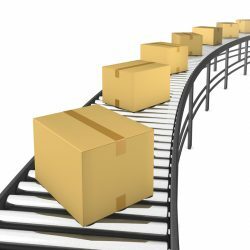 A Geami Ex-box machine will help you pack faster, generating more throughput. Automated strapping machines are ideal for securing heavier loads that require extra protection in transit. They automatically cut the strapping and adjust the tension to minimise product damage and ensure load containment. Machine-applied stretch wrap solutions are perfect to ensure your loads are well-secured and do not separate in transit. 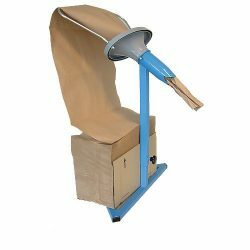 AdPak Spiral wrapping machinery is great for wrapping both long and awkwardly-shaped items, increasing your packing speed and productivity. Meet the needs of an aging and evolving workforce. Thanks for sharing.